As the final post in this Advent series, it strikes me as a good time to reflect on the big picture. Jesus Christ came to earth and brought us salvation. Without His eventual death on the cross and resurrection from the dead, we would be hopelessly lost in our transgressions. We would be unable to be reconciled to God which would have eternal consequences for all of us. This entire journey began on Christmas Day in one sense, but it also began way before. God didn’t just make up this plan one day and decide that it was the right time to drop Jesus on earth. God laid out the entire plan for Jesus to come to particular parents at a particular time in a particular place. Ever since the Fall, God promised that one would come who would crush the head of the serpent. The world was waiting for that victory, and Jesus Christ brought it. He rose over death and repaired that broken relationship between God and man. Advent is about the coming of Christmas and the literal birth of Jesus Christ, but it is about more than the nine months Mary was pregnant with Jesus. Sure, that was the final stretch if you will, but Christianity is a bigger story. From the entry of sin into the world until the birth of Jesus Christ, the stage was being set. Even looking at the experience of the nation of Israel, it soon became obvious that no human king was going to be able to create heaven on earth. Even David and Solomon, two of the greatest leaders in the history of the world, could not create a lasting, perfect kingdom. What they needed was a spiritual King would bring about a renewal of the heart. Unfortunately, many people did not understand that at the time and were expecting a political ruler, but the entire Old Testament points to the fact that human efforts will never be able to do what God can do. Advent brings to the end Mary’s nine months of pregnancy but also what all of the universe had been waiting for. The Old Testament is full of people who were looking ahead towards the Messiah. Job longs for an advocate as an example. All of that longing was finally going to be satisfied by the arrival of Jesus Christ. Through His ministry, He changed the world. He fundamentally repaired the relationship between God and man. He instituted a kingdom that will never fall. Although I am going to have something published on Christmas since it is Monday, this is the last thing I will write during Advent, so I hope that you have enjoyed this series. Christmas is one day, but it does is good to spend the length of time reflecting on many of the implications of that day. Like we often times say about Thanksgiving, we ought to be thankful all year around rather than just on one day. Similarly, the beauty of Christmas should impact us all year round and remind us of the coming of our Lord and Savior. We have heard the story hundreds of times, but right before Jesus was born, his parents were having a hard time finding a place to stay in Bethlehem. There was no room for them in the inn, so they had to move into a stable. As we think about Advent, we’re celebrating the coming of Jesus Christ. Our excitement is building up because we want to joyously celebrate His arrival on Christmas Day. What we look forward to is probably what Mary and Joseph were terrified of at the time. We know the end of the story, and we know that Jesus’ birth worked out just fine. Joseph and Mary knew that Jesus was the Messiah because of angelic insight, but they really didn’t know how this particular night was going to work out. For all they knew, even the stable might not have room. That’s kind of the way it is with all difficult times. In the midst of those situations, we have no idea what is going on. We don’t know how everything will work out. We know it will come to some type of end, but we don’t particularly know what that in this going to be. Looking back at it however, we know how it worked out, and we have a different perspective on it. Kind of like looking at Advent from our time in history, we know that there may have been difficult times, but we also know the results of that difficult time we went through. I am rather convinced that even the most difficult times we go through can be redeemed. Mary and Joseph endured a difficult journey as we talked about on Monday, and that journey was necessary in order to fill Biblical prophecy. Without that journey it is quite possible that prophecy would have been incorrect, and that would deal a substantial blow to God as we know Him. Our understanding of God would be severely damaged if what He said would happen did not happen. That which is difficult turned out having an outstanding benefit. That benefit was most clearly seen in hindsight though. As a result, when we end up in problematic scenarios, we must remember that being trapped in that current moment can blind us to the overarching truths that God is able to redeem anything we go through. It makes me even think about Jeremiah. He was a very unsuccessful prophet if we judge him by the amount of people he convinced. Most people didn’t listen to him. However, we still read about him today, and people are moved by his experience. By taking a step back and looking from the future, we understand the value of what Jeremiah went through, but his life was far from easy. As we think about this episode right before the birth of Jesus Christ, God was able to use difficult circumstances in a miraculous way. In fact, God is still able to use our difficult circumstances in a miraculous way. I think God is still in the business of doing miracles, and he has not left us here to flounder by ourselves. He will redeem anything. We read this phrase immediately after finding out that Mary was pregnant by the Holy Spirit. This serves as almost another reminder that Jesus was not of human origin. In case you missed it the first time that Mary was pregnant through the Holy Spirit, and this reaffirms the fact that Joseph was a man who was faithful to the law. He would not have violated the law and been with Mary prior to marriage because he was a man who was faithful to it. However, as we advance to the next verse, Matthew reaffirms Joseph’s commitment to the law, so the idea of this Immaculate Conception is even reaffirmed again. If Joseph was a man who was not committed to the law, then it could have been his child. However, putting both of these facts together, it is obvious that Matthew is trying to make sure the reader cannot miss that miracle of the situation. Now, returning to the specific character of Joseph, he was a man who attempted to follow the law, but he was also a man who was willing to do that without praise. He was clearly humble as evidenced by the fact that he was going to divorce Mary quietly if she had in fact been unfaithful to him. He could have made a big show and disgraced her publicly. After all, all of their friends and family would have wondered why their marriage fell apart. A public divorce would have settled all questions and clearly demonstrated that it was not Joseph’s fault. However, by hypothetically keeping this story private, he would have invited people to speculate. 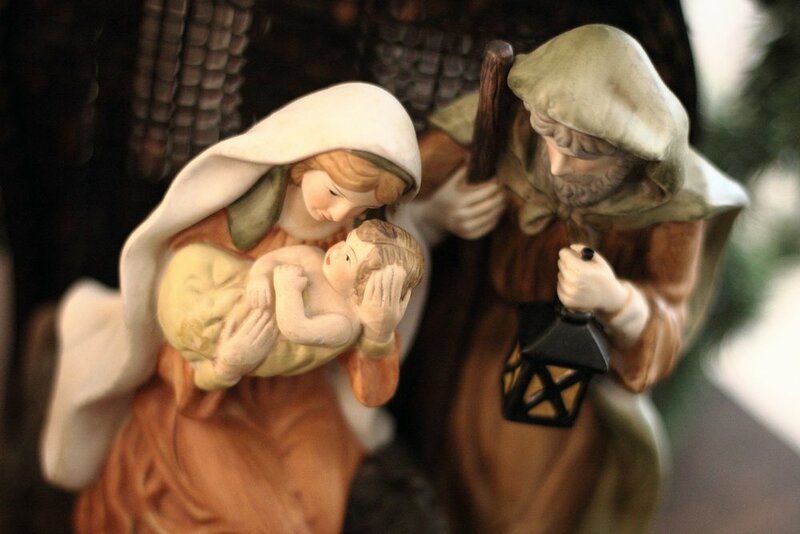 They would have wondered if something else was really wrong in the situation that drove Mary and Joseph apart. He was going to do the right thing and even in a potentially embarrassing situation for himself, he wasn’t going to publicize Mary’s apparent predicament. He was going to do what was best for her and keep everything quiet regardless of how it made him appear. I think that we need more people like Joseph in the world. We need people who are faithful to God and not only acting faithfully to look good in public. Joseph was willing to follow God and do the right thing regardless of how he looked doing it.